Nottingham’s new London Road fire station – a major project delivered by a trio of city-based firms – has scooped two accolades at the RICS East Midlands Awards 2017. The £3.7 million station – delivered by CPMG Architects, J Tomlinson and Turner & Townsend – received the Infrastructure and Regeneration Awards at a ceremony to celebrate the very best property schemes in the East Midlands. Turner & Townsend Nottingham, who appointed CPMG Architects, acted as lead consultant providing project management, cost management and design services. The judges identified the three-storey building on behalf of Nottinghamshire Fire and Rescue Service as “truly a piece of city infrastructure” that has “transformed the service” with a “great design” and “architectural detailing” that is “more than bringing redevelopment to a declining site”. The site houses three fire engine bays, modern training facilities and office space for Nottingham City Council’s emergency planning team. Nick Gregory, director for CPMG, said: “Having one of our projects recognised by two RICS Awards is fantastic. The development of this vital building has been a partnership from Nottingham-based companies who have all contributed to creating an emergency services facility fit for the 21st century. “The PV panels, smart lighting, large floor to ceiling windows, to increase natural daylight, and smart use of materials have all helped to contribute to the building’s energy-saving attributes. We’re proud to have delivered a safe and highly efficient building that is also saving the fire service money thanks to its lower running costs”. Martin Gallagher, managing director (construction) for J Tomlinson, added: “Winning two RICS awards is great news for the whole team involved in the project to create a new fire station for Nottinghamshire Fire and Rescue Service. “The key members of the construction team alongside J Tomlinson were all Nottingham companies, and, as a Nottingham-based firm ourselves, we were proud to have played a part in developing a new public service building for the city. “J Tomlinson has wide experience of working on projects for the emergency services, including the fire service, police, and ambulance, as well as working for the reserve forces, and it’s a ringing endorsement when a scheme is hailed as an award winner”. Ian Pritchard, head of estates at Nottinghamshire Fire and Rescue Service, said: “We are really pleased that London Road Fire Station has been recognised with two RICS awards, and since opening in September 2016, the station has made a real positive impact on the surrounding communities, as well as the environment. 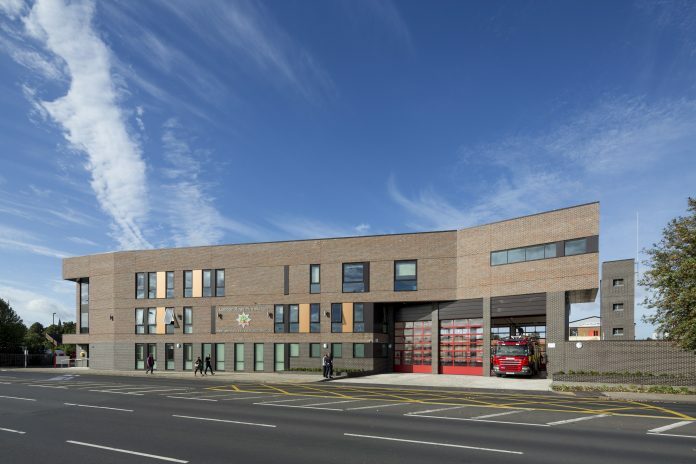 “The new location and purpose-built station has provided us with the opportunity to offer our firefighters modern facilities and we are thrilled that our award-winning station will be able to help to create safer communities for many years to come”. Structural engineers Couch Perry Wilkes and Curtins were also involved during the project. Next articleSign up for the Nottingham Riverside Festival Dragon Boat Challenge today!